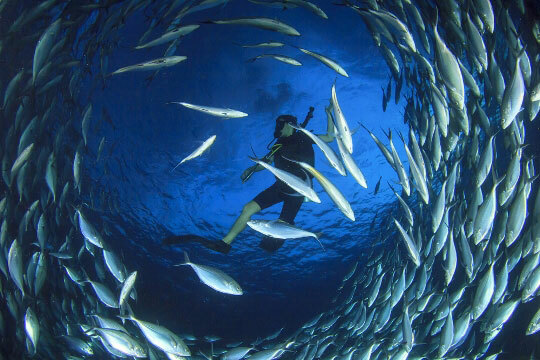 Want to venture further to experience some of the best diving in the world? Dive The World Thailand, the leading authority in adventure-laden liveaboard safaris, offers a wide variety of trips from October to May to the very best dive sites in Thailand, including the world famous Similan Islands, Richelieu Rock, plus Koh Bon, Koh Tachai, the Surin Islands, Hin Daeng. 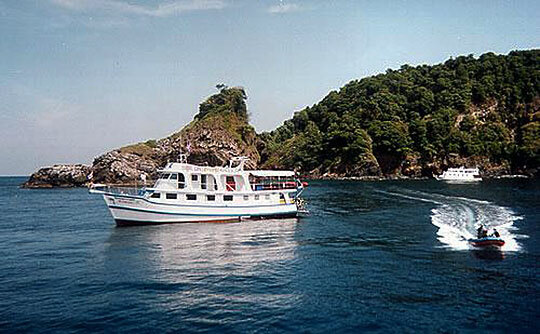 You can also go further north - across the border to Burma for liveaboard diving in the remote Mergui Archipelago. And from June to September there are some tour options that take in the best sites of Phuket and the Phi Phi Islands. 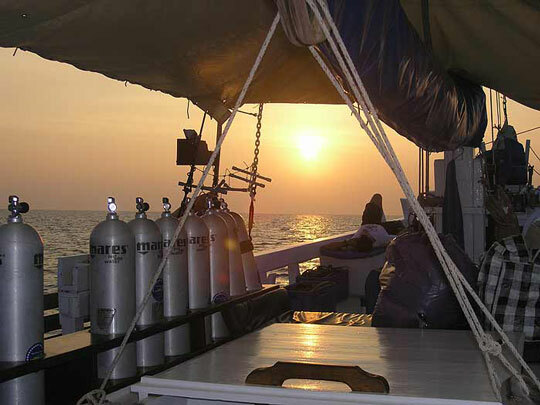 You might find it useful to use our quick search feature (located in the top right corner of this page) to find a Thailand diving safari departure date that suits your travel plans. 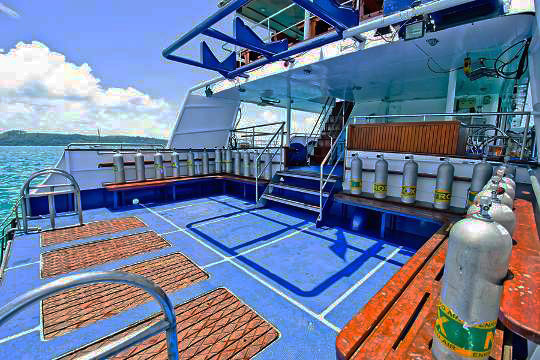 Or use our boat departure calendar on our Dive The World Liveaboards website section to help you plan your trip. Discounted trips are highlighted in yellow. Alternatively, you can find current specials detailed in our special offers section. for free advice from the experts. 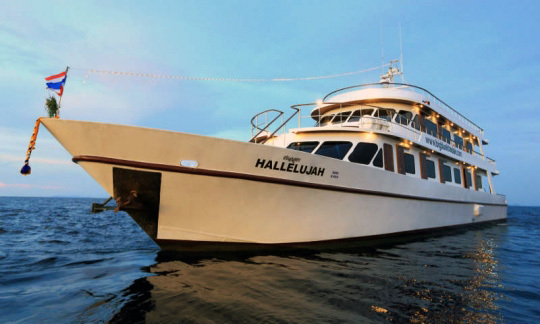 Why not join one of our 4 night cruises to the Similan Islands? These are our most popular tours. 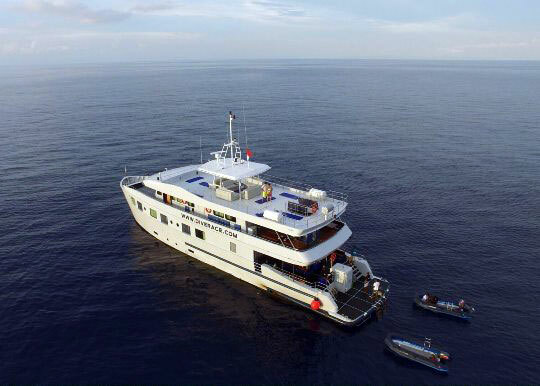 Diving an awesome array of reef formations and underwater landscapes, cruising amongst tropical islands with stunning white beaches, it's not hard to see why Similan liveaboard trips are among the most popular diving adventures in the world. 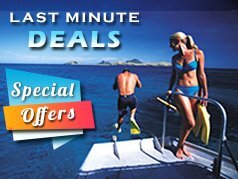 The area is a protected national park and is covered by a variety of boats catering to all price budgets, from deluxe to backpacker standard. 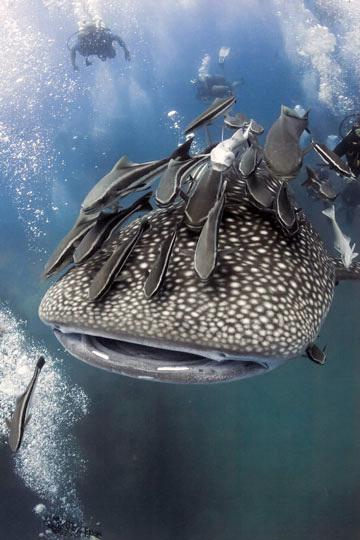 Excited expectations of diving with manta rays at Koh Bon and chance encounters with whale sharks at Richelieu Rock and Koh Tachai, provide a dramatic complement to Similan diving safaris and irresistible incentives to most first-timers. And who can blame them? 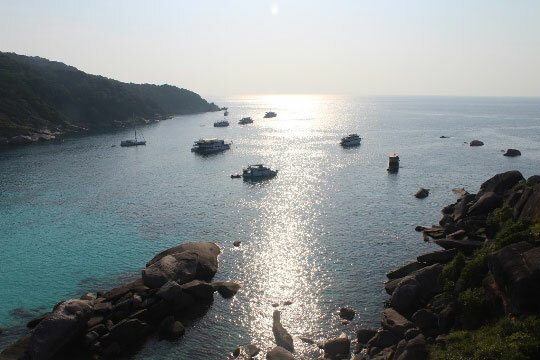 Some boats also visit the more remote Surin Islands. 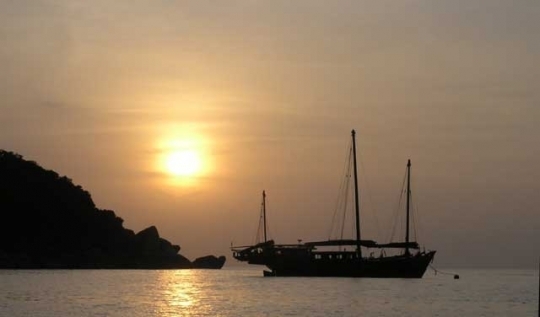 Koh Surin will appeal to those divers wanting to travel a little more 'off the beaten track'. 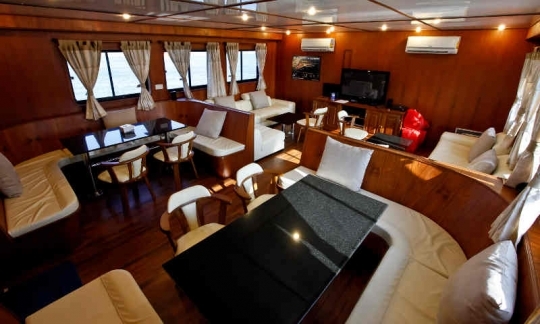 If you're short of time then our southern Thailand liveaboard trips may be just what you are looking for. Deep wall diving at Hin Daeng and Hin Muang offer opportunities to see reef sharks as well as more mantas and whale sharks. These short tours (usually 2 or 3 nights) are less crowded and also take in some interesting caverns and the beautiful Phi Phi Islands. 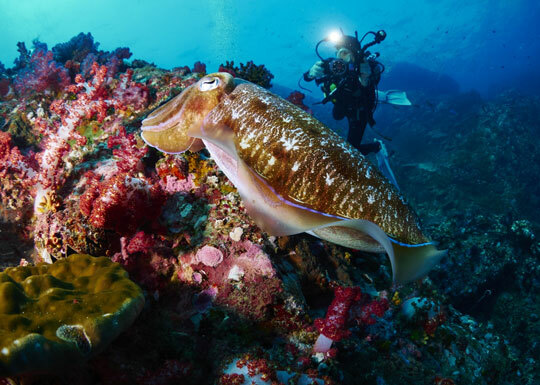 During low season, trips are available to the best dive sites of Phuket and Koh Phi Phi, where conditions still allow for some exciting but not-too-strenuous diving. 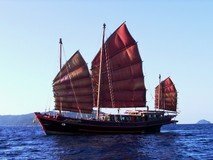 For the more adventurous scuba divers out there, try Burma - the Mergui Archipelago and Burma Banks offer true frontier liveaboard diving. Leave the crowds far behind and voyage back in time to this wonderous and magical archipelago. 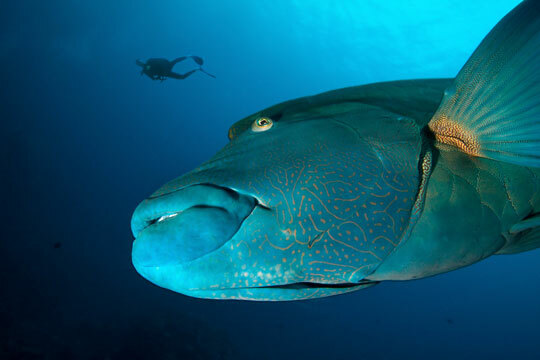 Large sharks and rays are often to be expected, but Burma is equally attractive to macro-enthusiasts and experienced divers in search of more elusive marine life such as frogfish, pipefish and nudibranchs, not found as regularly in Thailand. You can combine any of these destinations for a once-in-a-lifetime scuba adventure in this spectacular part of the world. 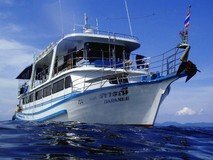 All of Thailand's liveaboard diving destinations are located in the Andaman Sea, along the west coast of its southern peninsula; this means that they are all exposed to the same weather patterns, but to varying degrees. The best time to visit the Similan Islands, Surin, Burma and Hin Daeng-Hin Muang is during the dry High Season - November to April. Since December and January is Peak Season and can be crowded with tourists, we always advise scuba divers to plan a visit between February and April whenever possible; this also coincides with the local whale shark and manta season. During rainy season the weather can be unpredictable and the seas rough, making trips to remote areas a risky proposition. 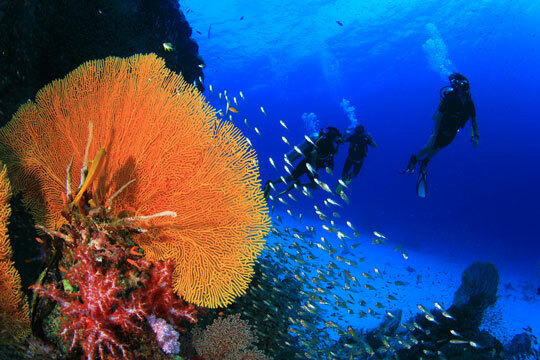 However, the attractive dive sites of Phuket and the Phi Phi Islands are relatively protected from these climatic conditions and remain open throughout the year. 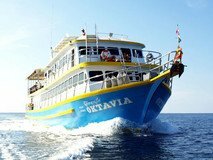 These Phuket liveaboard cruises are therefore the best option for anyone that wants to join a diving safari during June to September. 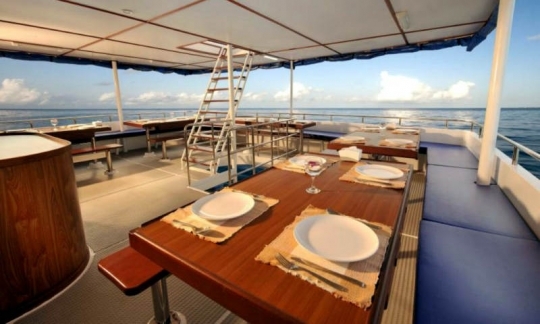 There is a wide range of prices, with the more expensive boats providing high levels of accommodation, comfort and service, and these are recommended for divers with experience of liveaboards in other countries. The least expensive options cater generally to younger and less-experienced divers on a tighter budget. 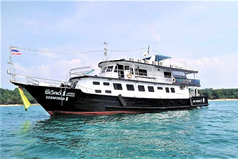 At this end of the market you can choose either short and inexpensive cruises, or be transferred by speedboat to and from a stationary liveaboard which remains in the Similans. 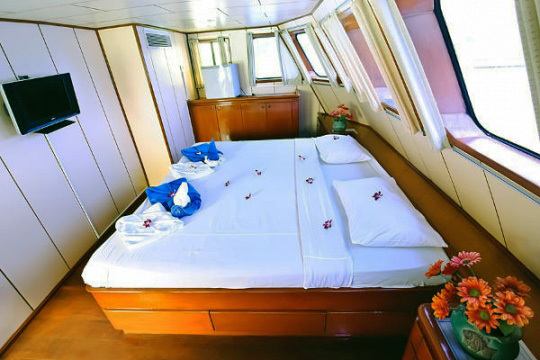 Diving, air-conditioned cabin accommodation, meals, non-alcoholic drinks, transfers, weights and weight-belts, torches and tanks, professional divemaster and all taxes. Your shortlist quote will include no 'hidden extras'. 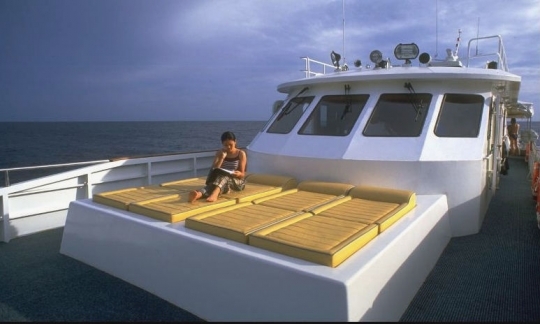 Not all of the lower budget liveaboard boats have towels or toiletries so you may have to bring your own. Please note that, national marine park fees are not included in your quote (unless otherwise stated). Similan Islands National Marine Park fees are currently approx. US$ 13 per entrance, plus US$ 6 per person per day. 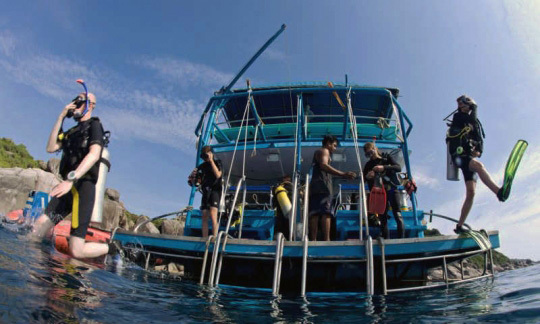 Full sets of scuba equipment can be rented for US$ 19 per day. Dive computers can be rented for US$ 6 per day. Digital cameras can be rented for US$ 31 per day. 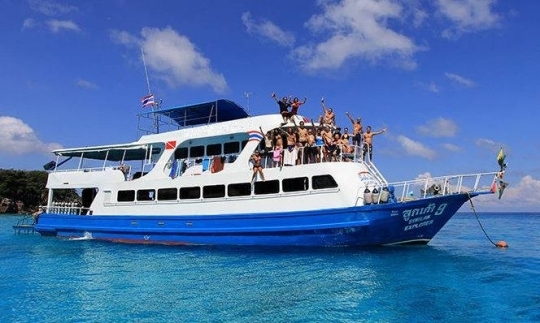 Thailand diving cruises depart from Phuket, Khao Lak in Phang Nga (1½ hours minibus transfer north of Phuket), or Ranong (for Burma safaris only, 4-5 hours minibus transfer north). 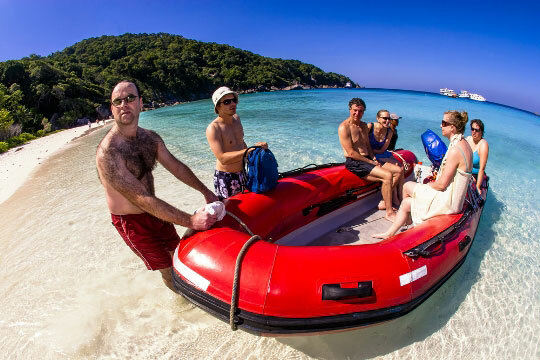 Port transfers are provided free of charge from all main beach areas of Phuket (Patong, Kata and Karon). Transfers from more remote beaches or Phuket Town may be subject to a small extra pick up fee. Read our Phuket tourist information for details on how to get there. If you'd prefer to meet your boat in Khao Lak, rather than be transferred from Phuket, then you can find out how to get there from our Khao Lak information page. 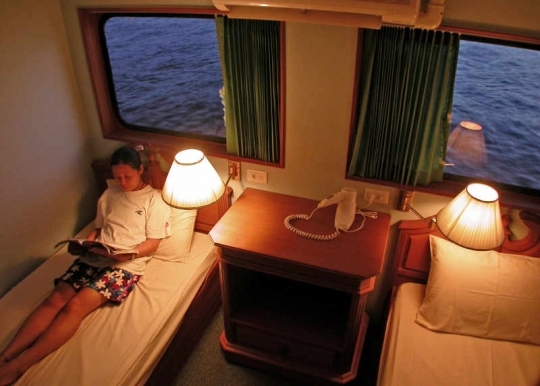 The customer rating displayed for each Thailand liveaboard is an indication of our customers' satisfaction. 5 star is excellent, 4 star is very good, 3 star is good, 2 star is average, and 1 star is below average. 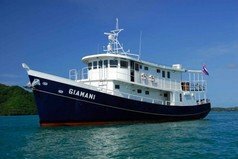 We ask each and every one of our customers to rate their liveaboard diving safari, and the rating earned by each boat is an average of the ratings received from our customers over the last season. That way, we ensure that our ratings and recommendations are truly impartial and reflect up to date performance based on the most important indicator - your satisfaction!